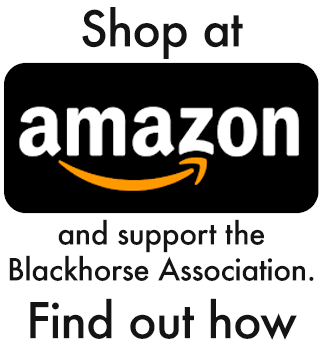 General (Retired) John Nelson Abrams, 53rd Colonel of the Blackhorse Regiment, passed away on August 20, 2018 at the age of 71. 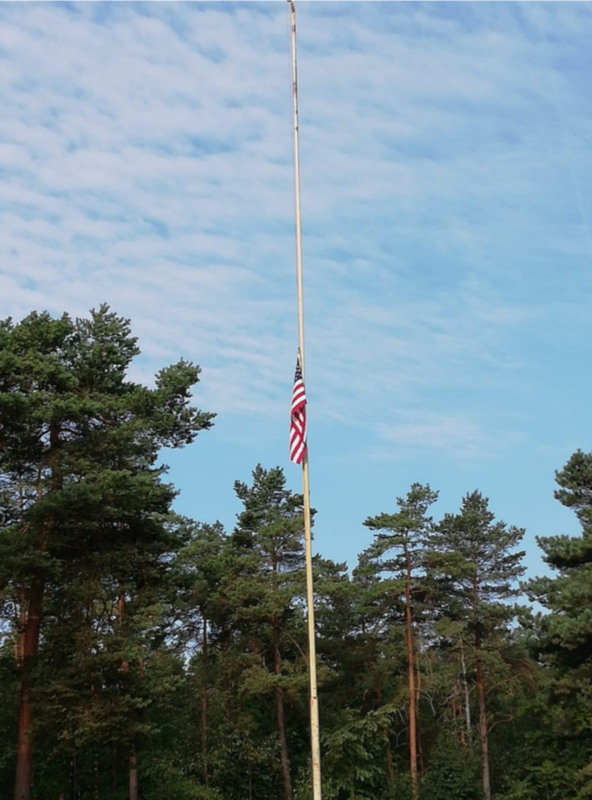 He was the son of Gen. Creighton Abrams, the former Army chief of staff who died in 1974; the brother of Gen. Robert B. Abrams, who is the current U.S. Army Forces Command commanding general; and the brother of retired Brig. Gen. Creighton W. Abrams Jr., who is executive director of the campaign for the National Museum of the United States Army. Abrams was born on September 3, 1946 in Cumberland, Maine. He received his commission through Officer Candidate School in 1966, after enlisting as a tank crewman in 1966. As a young armor officer, Abrams served two years in Vietnam, rising from platoon leader to troop commander. As troop commander, he led a hybrid armored unit that combined helicopter-borne infantry soldiers with traditional armor. He married Cecilia Bosico in 1969. 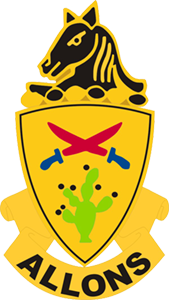 In his tour as Commander of the Second Infantry Division, he was promoted to Major General and stationed at Camp Red Cloud, near Uijeongbu, Republic of Korea. 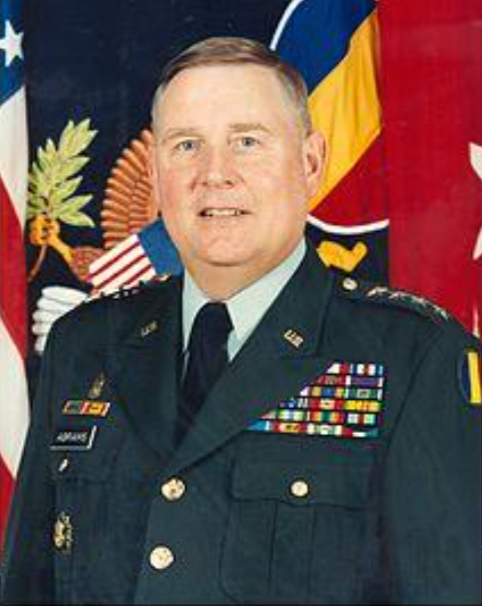 Major General Abrams was active in community affairs and worked with the Amerasian Children’s Fund, The Pearl Buck Association, and the American Red Cross. He was instrumental in improving morale to this combat unit and community support from the Korean civilians. After completing his tour in Korea, he was promoted to Lieutenant General and assigned as commander of V Corps in Germany. When he commanded V Corps, his unit employed intelligence-gathering unmanned aerial vehicles in their first tactical deployment. As commander of V Corps, he was the second officer in U.S. Army history to command the same unit as his father, the first being General George Smith Patton. In 1998, he was promoted to general and assigned as Commander, United States Army Training and Doctrine Command (TRADOC), which oversees all training in the U.S. Army. He held this position until his retirement in 2002. After he retired from the Army, he founded Abrams Learning Information Services, a management consulting and technology company where he was president and CEO. He also worked as a military analyst for The Associated Press. While commanding the Regiment, Colonel John Abrams was known as a superb trainer and expert in tactics. His many innovations in training, to include a focus on night fighting and collective gunnery at platoon and troop/company, contributed greatly to the Regiment’s effectiveness as a deterrent on the East-West German Border. As just one example of his innovative approach to leadership, the Regiment was host to a day-long visit by the Conference for Defense Cooperation in Europe (CDCE) during REFORGER 1988. The CDCE members were allowed to have two senior (usually colonel) observers of any large military exercise within Europe. Among the CDCE observers for REFORGER ’88 were two Soviet colonels. The Regimental Commander greeted the group, and then turned their visit over to the Regimental Command Sergeant Major, CSM Jake Fryer. Col. Abrams had directed that all presentations and demonstrations to the CDCE delegation be done by NCOs of the Regiment. At one point, while being briefed by a Sergeant E-5 on mortars, one of the Soviets asked “Where are your officers?” The response “This is NCO business, the officers have other duties to attend to” appeared to take the Soviets by surprise – exactly the effect the Regimental Commander intended. Colonel Scott C. Woodward was born and raised in Batavia, New York. He graduated from the State University of New York College at Brockport with a Bachelor’s of Science Degree in Criminal Justice. His military education includes: the Armor Officer Basic Course and Scout Leaders Course, Fort Knox, Kentucky; the Aviation Officer Advanced Course, Fort Rucker, Alabama; the Command and General Staff College, Fort Leavenworth, Kansas; and the U.S. Army War College, Carlisle, Pennsylvania. His military assignments include 1st Battalion, 37th Armor, 1st Infantry Division (later redesignated 2d Battalion, 70th Armor, 1st Armored Division), Fort Riley Kansas, as a Tank Platoon Leader, Scout Platoon Leader and Company Executive Officer; and 1st Battalion, 64th Armor, Fort Stewart, Georgia as Battalion Adjutant, Battalion Assistant S3 with deployment to Bosnia- Herzegovina, and Tank Company Commander. He commanded E Troop, 9th Cavalry (Brigade Recon Troop), 2d Brigade, 3rd Infantry Division during Operation Desert Spring and the invasion of Iraq 2003. Other assignments included Plans Officer and Observer Trainer, Battle Command Training Program, Fort Leavenworth, Kansas; Brigade Plans Officer, 2d Brigade, 1st Infantry Division, Fort Riley, Kansas; Battalion Operations Officer, 1st Battalion, 63d Armor, with deployment to Mahmudiyah, Iraq; Brigade Executive Officer, 2d Brigade, 1st Infantry Division; and Armor Colonels Assignment Officer, Office of the Chief of Staff, Army, Washington, DC. 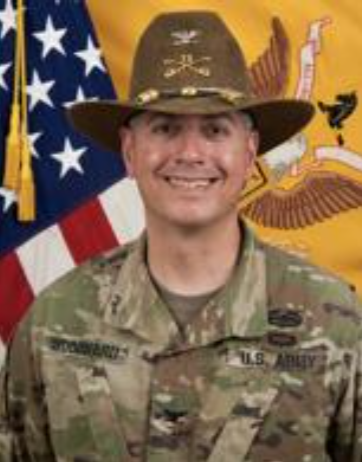 He commanded 4th Squadron, 4th Cavalry Regiment, 1st Infantry Division; he was the G3 (Fwd) 1st Infantry Division (Task Force Lotus Forge), Vicenza, Italy; and then he deployed as the 1st Infantry Division J3, Operation Inherent Resolve in Erbil, Iraq; afterwards, he returned to Fort Riley as the Chief of Staff (Rear), 1st Infantry Division. Upon graduation from the War College, he was assigned to HQDA G-3/5/7, Pentagon, Washington D.C. His previous assignment immediately prior to the Regiment was as the Director, Commander’s Initiatives Group, Combined Joint Task Force – Operation Inherent Resolve in Baghdad, Iraq. COL Woodward’s awards and decorations include the Bronze Star Medal with “V” device; the Bronze Star Medal (2d award); the Defense Meritorious Service Medal; the Meritorious Service Medal (6th award); the Joint Service Commendation medal; the Army Commendation Medal (4th award); the Army Achievement Medal (2d award); the Combat Action Badge; the Parachutist Badge; and the Army Staff Identification Badge. He is married to the former Judith Story of Nome, Alaska and they have two daughters. Savannah is currently a Senior at the University of Kansas, and Sydney is a high school senior. He enjoys being outdoors with his family and can usually be found hiking, mountain biking, hunting or fishing.